Internet today feels like a necessity and in line with growing Internet , where blogs with various themes are also present on the internet. At first the blog is only used by some authors who just poured out his heart or sharing information to internet user. Give thanks to the creator with the existence of web or blog at this point have very much information and great lessons that can be learned. Blogs have known and owned ranging from teenagers to older people who want to share information to make a blog nice. To create a blog you first need to have an account on the blog provider and begins with selecting the domain name of the blog. The next step is to choose the best blog template. In addition to content , blog templates must also be considered because of the look of a blog also serves to bring visitors to your blog. Blog template is recommended SEO and user friendly. The blog also there are paid and fre . For beginners to be more frugal , is recommended prior to use free blog templates . The difference between a blog template that exist in the paid and free features and design. There are some features that are only active in the paid templates for free while in the non functioning. The design template free design template is simpler than that paid. However , do not be afraid to use free templates because these templates can be favored by search engines . Templates used must be tailored to the theme and purpose of the blog . If the blog is information about sports themed templates used must be match the sport . And if the aim personal blog template that you use should fit, but if it is for the general template that should be used should match the theme of your blog. 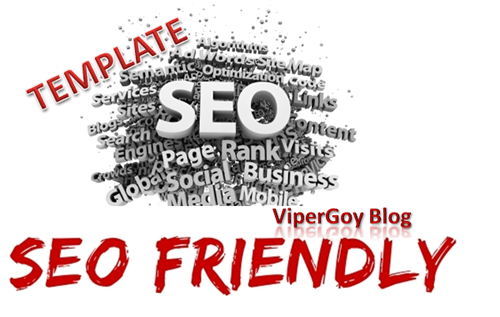 Templates used should be seo friendly, user friendly, and easy to navigate. Choosing a template is also adapted to the techniques of SEO ( Search Engine Optimization ). View seo friendly nature will more easily determine the presence of a blog on the top position in search engines. That way your blog will be easily found by visitors according to his type keywords . Blog template that says when the template user friendly easy to navigate by visitors. The display is not bothersome visitors coming to your blog. Choose a template with menus , columns , and easy navigation. Display magazine , for example , although looks crowded and complicated, but this type of template is easy to navigate. Previous Previous post: Why a website exposed to the Sandbox?